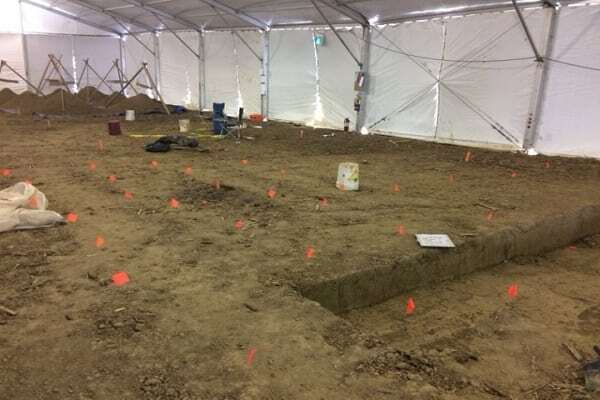 The archaeological company who contacted us to build a temporary structure in mid-February was under pressure from their client to do an assessment of the site where a proposed gas line would be installed underground. Everyday that went by, their client was losing dollars by delaying the gas line. They couldn’t wait for the ground to thaw in the Spring. 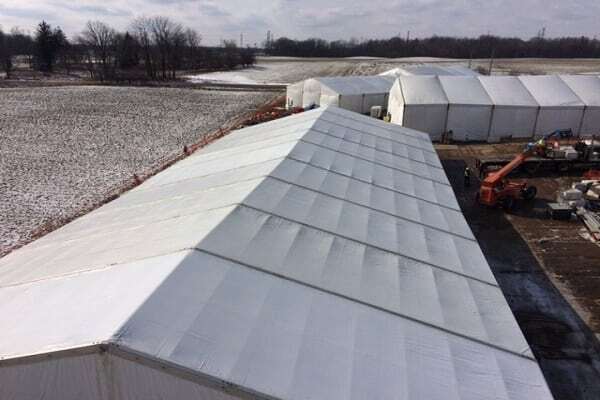 As a result, we installed four separate temporary structures with a temperature control system. 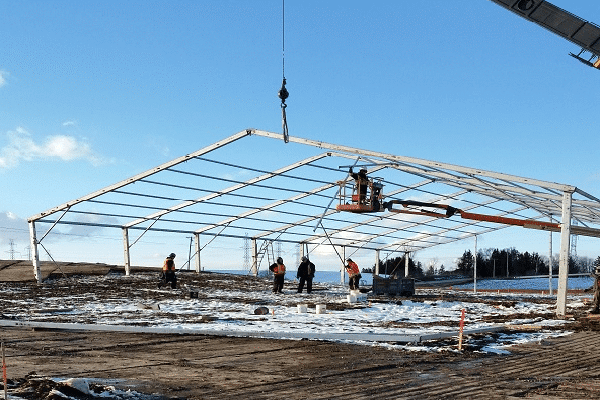 Because the ground was incredibly sloped where these structures were to be placed, we also had to custom make the legs and uprights in order for it to sit smoothly on the surface.